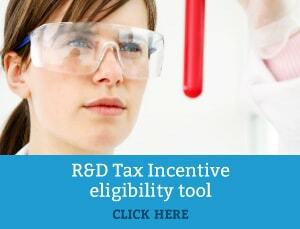 An Advanced Finding is a binding decision from Innovation Australia about the eligibility of a company’s activities under the R&D Tax Incentive. It operates similar to a private ruling request and has the intention to provide certainty for companies. Similarly, an Overseas Finding is a binding decision that relates to overseas activities and expenditure. There are specific rules surrounding the inclusion of overseas expenditure within a company’s Australian R&D Tax Claim. A company must seek approval to claim the overseas expenditure through an Overseas Finding Application before year end. The activity to be conducted overseas has a ‘significant scientific link’ to core R&D activities conducted in Australia. The expenditure on overseas activities is less than expenditure on Australian Core and Supporting Activities. The overseas activity cannot be conducted within Australia for reasons outlined within the R&D Tax Legislation (generally, contravention of Australian laws or restricted access to expertise and natural features). June year end companies intending to claim overseas costs in the current year’s R&D claim must submit the activities relating to those costs through an Advanced Finding by 30 June. Newly released guidance details the efforts companies are expected to make to determine the level of expertise available. This includes conducting a reasonable Australia-wide search or advertising campaign or through seeking advice from independent experts. A lack of proven experience in a field may be sufficient to show that the expertise is unavailable. The guidance recognises that being unable to gain access to facilities or equipment in a reasonable time frame may constitute sufficient grounds for conducting research overseas. The guidance also records that gaining access to facilities only at significantly above Australian market rates may also support a case of unavailability in Australia. In respect of accessing a population, the guidance notes that, in some non-contentious cases, companies can explain in their applications that there isn’t a sufficient population in Australia to meet the requirements of the relevant activity. In other scenarios, AusIndustry would expect companies to conduct a reasonable investigation within Australia to locate a suitable population and provide evidence of how the search was conducted.